Stylishly attired for a day out and about, Walking Suit Barbie® wears a finely tailored black-and-white houndstooth suit featuring a cinch-waist jacket and pencil skirt. A crisp white collar and bow accentuate the neckline. Impeccable accessories include a black veiled hat, purse, stilettos, stockings and umbrella. Evening Gown Barbie doll is a vision of grace and glamour as she glides through a night of exciting events. 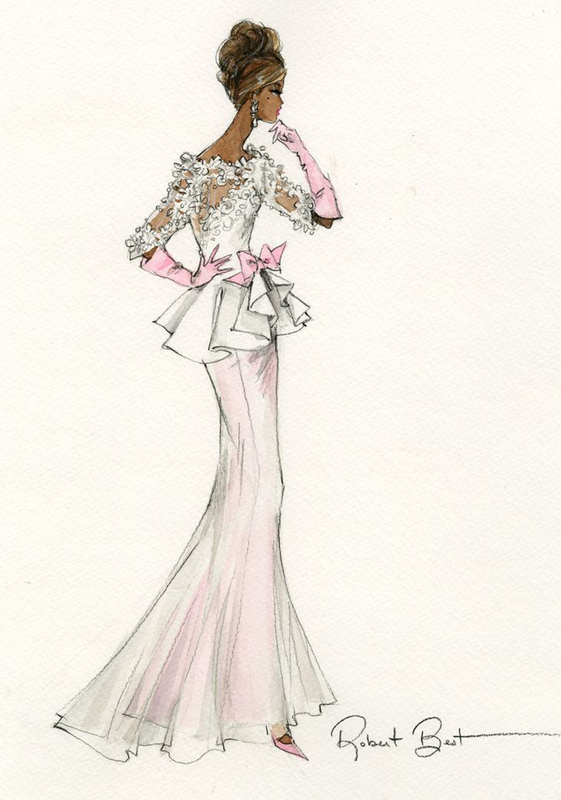 Direct from the atelier, her feminine ensemble features an embroidered white top embellished with white beads, clear iridescent sequins and silk ribbon flowers, while a pink satin bow accents the cinch-waist. 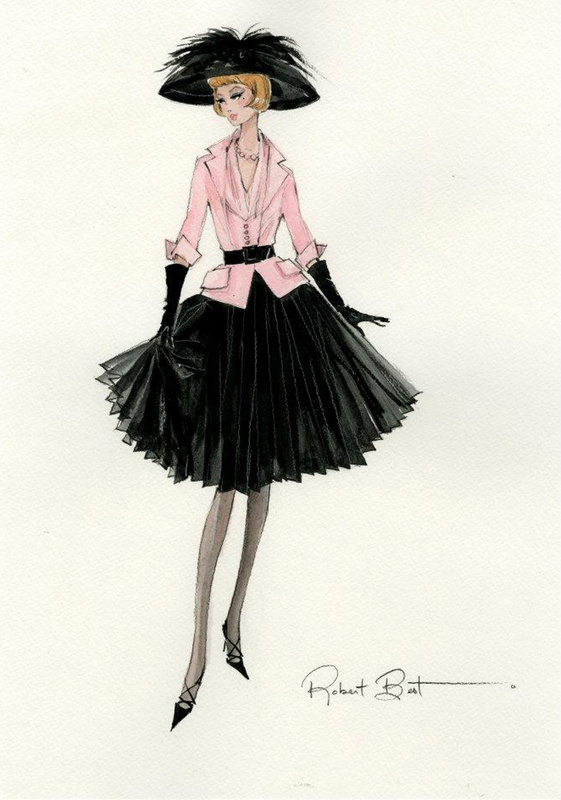 Her sheer white overskirt gently reveals a pink satin flared skirt, and alluring accouterments include pink opera gloves and cross strap shoes. For an elegant final touch, she adds silvery rhinestone floral earrings with faux pearl drop. It’s not just a party, it’s the event of the year, and Gala Gown Barbie doll rises to the occasion with a breathtaking dress in pale yellow and grey chiffon. Evoking an image of the glamorous past, this exquisite gown features a cascade of ruffles accented with fabric flowers, silvery sequins, and yellow and clear beads. 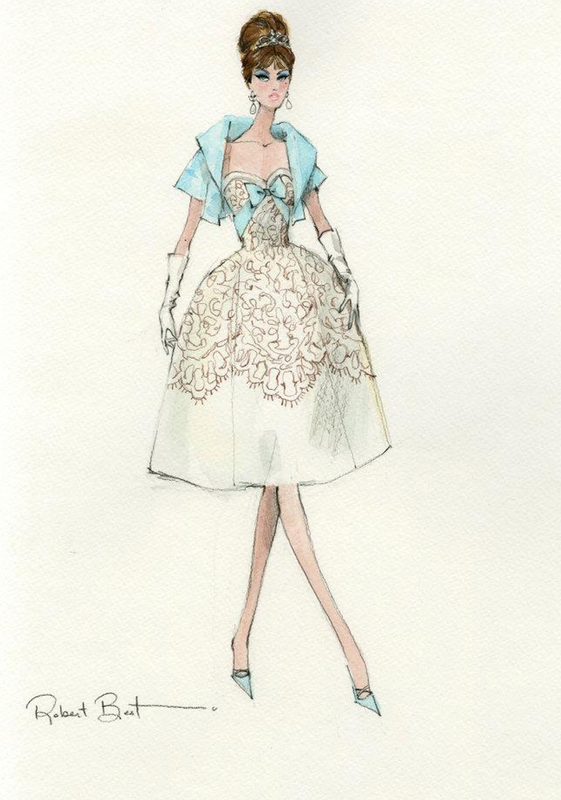 The taffeta-lined bodice floats above a white tulle petticoat, and elegant accessories include grey opera gloves and rhinestone and silvery drop earrings. Sheer tights and sling back shoes complete this stunning ensemble, setting the scene for an unforgettable evening. The perfect afternoon suit begins with a pink jacket featuring ¾ length sleeves and trompe l’oeil vest. Faux patent leather belt is the perfect accent piece. Sheer black pleated skirt lends feminine flair. The classic accouterments for this ensemble: black stilettos and gloves. Finally, the picture hat with lavish feather embellishments completes the look. 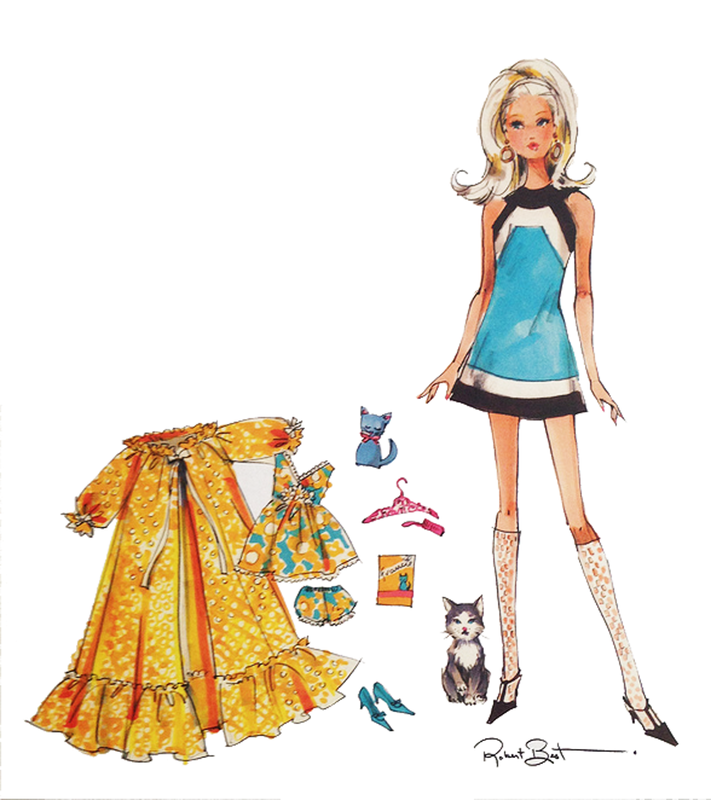 Francie Fairchild is Barbie doll’s fun and fabulous cousin. Fresh as a daisy and fancy free, she’s back again, dressed in pink! Faux fur coat featuring black vinyl trim covers a sleeveless faille mini dress. 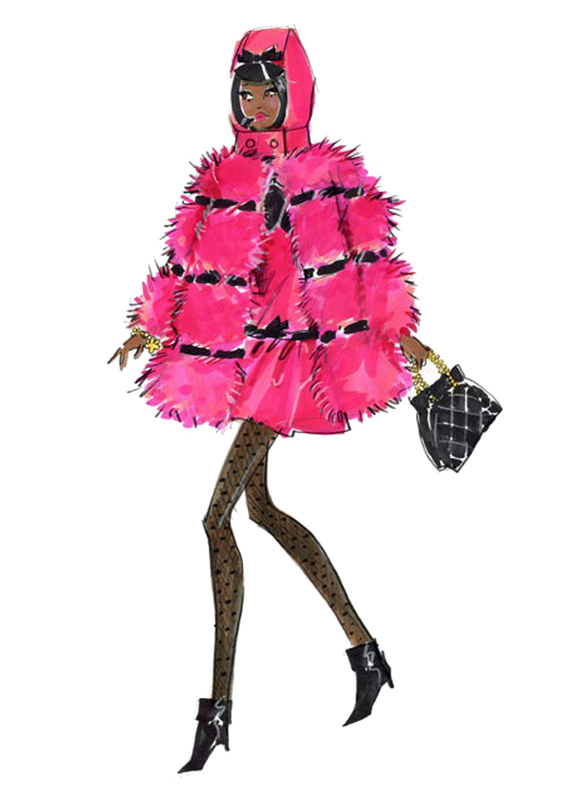 We’ve missed her whimsical style and now, for the first time ever, Barbie Collector presents an African-American Francie with Silkstone body—so MODern! 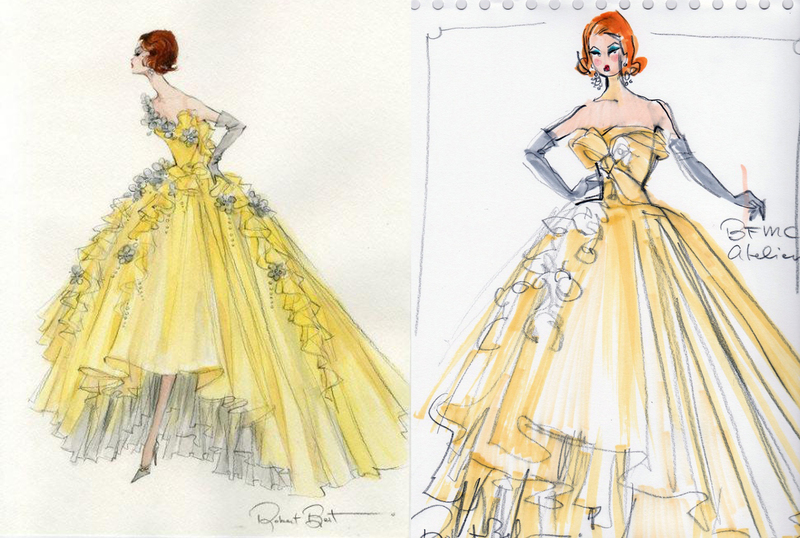 Francie Fairchild is Barbie doll’s fun and fabulous cousin. Fresh as a daisy and fancy free, she’s back again and she’s looking sharp! Dressed in a bold, 60s-inspired shift, she comes with a dreamy nighttime fashion, perfect for cuddling up with her kitten, Slippers™. Her whimsical style returns, modeled on a Silkstone body—so MODern! With White Diamonds Elizabeth Taylor doll, Barbie Collector celebrates this icon, beloved to millions around the world. Magnificently created to capture every detail of her unique beauty, the face sculpt was reviewed and approved by Miss Taylor herself. Elizabeth Taylor forever represents timeless glamour and a maverick spirit. Crafted in magnificent detail, the doll’s face sculpt was reviewed and approved by Elizabeth Taylor herself. She wears a timeless satin dress with matching opera gloves and pumps, rhinestone brooch, bracelet and earrings. Also includes sunglasses and a mini “perfume” bottle. A tiny red ribbon near her shoulder represents her commitment to battling HIV/AIDS.